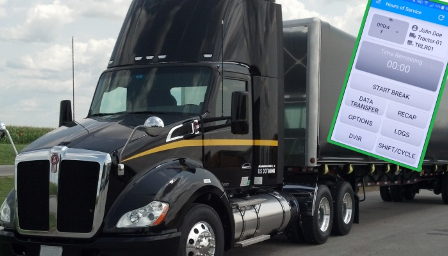 TrackM2M provides FMCSA certified eLog/ELD systems. The app for Android/Apple phones/tablets implements Hours of Service rules in USA and Canada. Includes multi-language support, integrated photo documents and IFTA data collection. 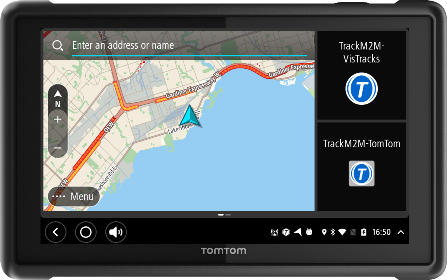 TrackM2M offers the TomTom "Bridge" in-cab maps (including lifetime map updates), navigation, integrated eLog/ELD, live traffic reports and cradle for quick removal and continuous charging power. 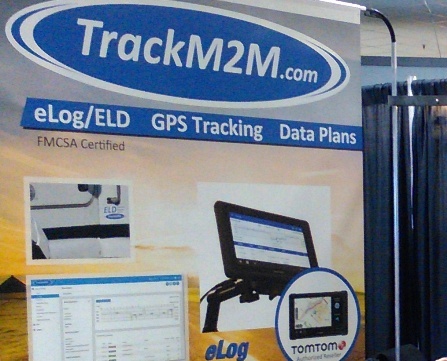 TrackM2M is a North American service provider for eLog services, GPS vehicle/asset tracking, data plans, fleet management tools and IFTA reporting. From complete packages to customized solutions, TrackM2M helps its clients find the right solutions at reasonable costs. TrackM2M provides the hardware, software and mobility services that allow clients to track a variety of vehicles and assets. Last known location of equipment. 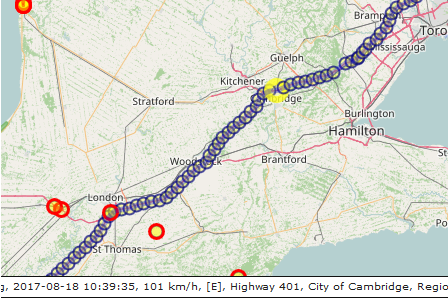 Real-time tracking systems featuring map traces, zones, alerts, OBD data, e-Logs, in-cab map / traffic reports, IFTA and utilization reporting. Superb quality at very reasonable prices. One-stop-shop. Get eLog, tracking, hardware and data plan services from a single source provider. Service your business deserves. We answer the phone and get issues resolved. No long term contracts and unlocked hardware offer customers choice and control over their business. All systems function in both USA and Canada without compromise. The "store and send later" data approach ensures the system can work through long periods without mobile network connectivity. Build your system from several components that function independently and combine components in numerous ways to achieve a system with capability beyond the sum of its parts. Start with the components that achieve regulatory compliance and gradually add new components over time as your business grows and faces new operational efficiency challenges...it's up to you. TrackM2M has the modules, options and flexibility to scale with your business. Thank you for the many inquiries at the MID-AMERICA TRUCKING SHOW in Louisville, Kentucky, USA March 23-25, 2017 in BOOTH #67168. 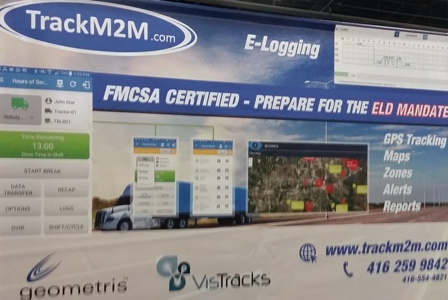 Thank you for visiting TrackM2M at TRUCK WORLD 2018, International Centre, Mississauga, Ontario, Canada on April 19-21, BOOTH #1918. 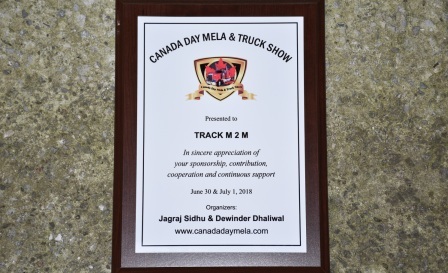 Thank you for visiting TrackM2M at CANADA DAY MELA 2018, Brampton Fairgrounds, Brampton, Ontario, Canada on June 30 - July 1, BOOTH #A23.